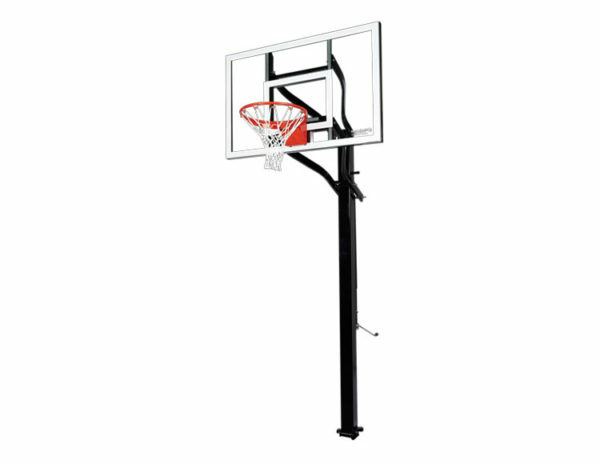 Get the home court advantage with a superior basketball system that’s built to last! The Goalsetter X554 In-Ground Basketball Hoop offers the innovative features and unbeatable quality of a professional goal at a fraction of the cost. The Goalsetter X554 features a 54in fully-tempered glass or acrylic backboard, heavy duty breakaway rim and 5in square steel pole. The external tension height adjustment mechanism ensures easy, safe and accurate height adjustment from regulation 10in down to 6ft8in. The Goalsetter Extreme Series also offers a 1.5in square steel backboard frame for exceptional durability and stability during play as well as die-formed extension arms that counter backboard torque. 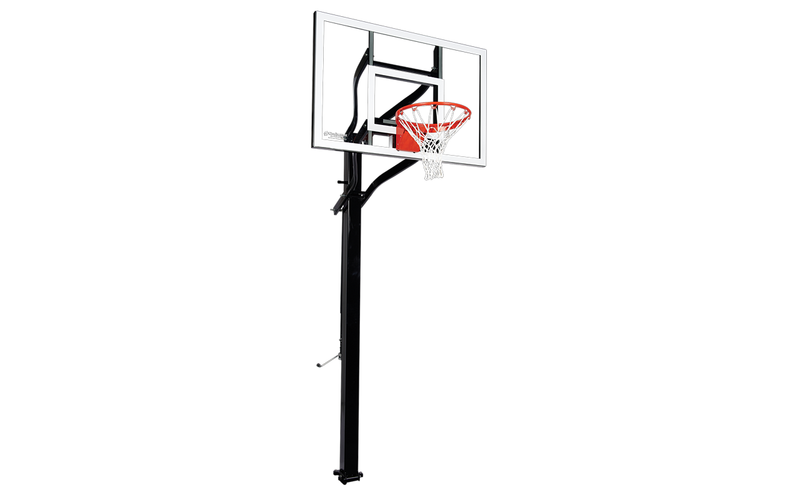 Get the home court advantage with a superior basketball system that’s built to last! The Goalsetter X554 In-Ground Basketball Hoop offers the innovative features and unbeatable quality of a professional goal at a fraction of the cost. The Goalsetter X554 features a 54” fully-tempered glass or acrylic backboard, heavy duty breakaway rim and 5” square steel pole.